From GoodReads: Mackenzie Cooper took her eyes off the road for just a moment but the resulting collision was enough to rob her not only of her beloved daughter but ultimately of her marriage, family, and friends―and thanks to the nonstop media coverage, even her privacy. Now she lives in Vermont under the name Maggie Reid, in a small house with her cats and dog. She’s thankful for the new friends she’s made―though she can’t risk telling them too much. And she takes satisfaction in working as a makeup artist at the luxurious local spa, helping clients hide the visible outward signs of their weariness, illnesses, and injuries. Covering up scars is a skill she has mastered. My Thoughts: I've been a fan of Barbara Delinsky since reading Coast Road, which was published in 1998. She is a prolific author, and what I've liked most about the many novels of hers that I've read is the character development. Her female protagonists are strong and resourceful. When I start a new Delinksy novel, I know I am in for a story that will touch my heart and characters that will remain with me long after I've come to the book's end. She has become one of my go-to authors who never disappoints. 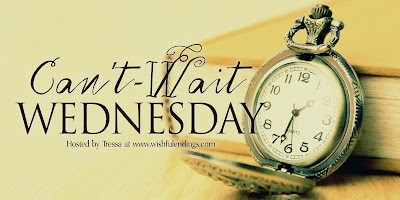 This Can't-Wait Wednesday post was originally composed and/or compiled and published by Catherine for bookclublibrarian.com. It cannot be republished without attribution. Retweeting and sharing this original post on Google+ are appreciated. This is a great pick and I hope you get a chance to read very soon. I'm intrigued. I do hope you get to read it! Hi Catherine! Coast Road was my first Delinsky title and got me hoooked. I'm also waiting impatiently for this book you mentioned and hope to get it this summer. Have a good week! I'm glad to know that Barbara Delinsky has a new book. My first one of hers was when she was still writing for Harlequin. She did several trilogies that I read. In any case, I have enjoyed several of her newer titles and this one sounds like a good one. Putting it on my list and glad she is still writing. 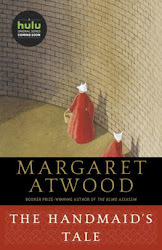 I have this book in my TBR pile, and I can't wait to start it. I've heard amazing things about Barbara's books for years, but I've never read one before. I'm hoping this will be a good place to start. It sounds like such an emotional read. Hope you love it! 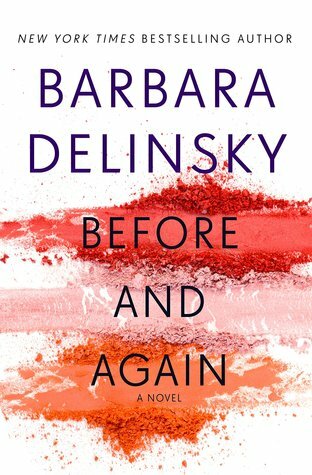 I haven't read anything by Barbara Delinsky but I know the name. This sounds like an interesting read! Wow, sounds intense. Never heard of this author before but I hope everyone enjoys it! I love this author, too, and have a NetGalley ARC of Before and Again. I will be reading it soon. Enjoy!